Several meteorites have been found in western Cuba after a huge meteor was seen by many – in broad daylight – on Friday, February 1, 2019. People in southern Florida also saw the meteor, as this space rock traveled over West Palm Beach, above the Florida Keys, and then to Viñales, a town in Pinar del Río, Cuba. The event occurred at around 1:16 – 1:17 p.m. EST on Friday, February 1, 2019. Residents of Viñales, Cuba saw a very long smoke trail that lasted more than one minute, while the meteor itself was described as extremely bright, with amyellow-orange color, and lasted more than at least four seconds. 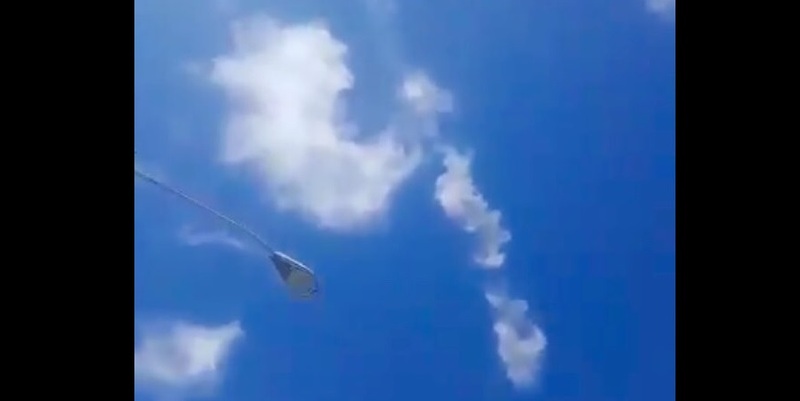 Explosions were also heard and a smoke trail seen in Havana. There were no reports of damage or injuries.